Mazda 6 Forums : Mazda 6 Forum / Mazda Atenza Forum > Mazda6 (Atenza) > Mazda6 (Atenza) > 3rd-Gen > 2018 - Camera Upgrade? About a month ago I purchased a 2018 6 in signature trim (my 2009 6 iGT was totaled a few days prior, not my fault). I really like the car, but one thing bothers me terribly - the CAMERAS. The rear camera is poor but passable. It doesn't show lines bending when turning, but that should be a software fix that could take care of that (you can swap video modes and get lines to appear, making me think it's a bug). The front camera however is beyond terrible. I can close my eyes and imagine what that camera is seeing and have a clearer, more accurate picture. The resolution looks something like 120x60 or something lower. Couple it with the severe fisheye lens used, and this thing is terrible. I would imagine it's using the same camera as the rear of the car. Does anyone have any idea why the camera in general is so terrible? 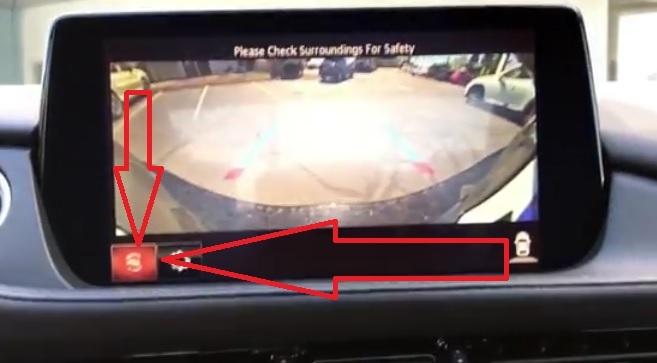 Is it a bug in the software that needs fixing or did mazda somehow purchase the worlds's worst cameras? Make sure the camera lens have been cleaned well. Keep experimenting with the lines. They do bend. I agree, the one area that the new 6 Signature falls short is the camera. However, I think it's more of a software/scaling issue than a hardware issue. Even basic cellphones today have capable cameras. I can't imagine they could even get a camera with a low res sensor anymore. I wouldn't be surprised if they need to fix their scaling algorithm or update the graphics libraries to do better scaling. Every review I've read mentioned it and I gave them that feedback on my initial owner survey they sent out. Hopefully they'll figure it out and it's a simple update. It would be even better if the fix came with the new Android Auto software update! Agree, let us hope a free software fix for both issues is offered soon. It doesn't show lines bending when turning, but that should be a software fix that could take care of that (you can swap video modes and get lines to appear, making me think it's a bug). Do you have a link or more info on how to swap the video modes? I only see the "bend" for the front camera view. In the rear is straight lines. Not even sure why I need to see where my tires are pointed when driving forward. I had the same issue with not being able to utilize the 360 camera when reversing. It was because I had out of date software. WHen the 360 is activated, the lines move for reverse. Here is a video of what it should look like. To change the camera view (if you have the software updated) just select the camera view button to select the highlighted camera view switch that is on the screen (see picture). My car did not allow me to do this but after the software was updated, it worked. Thanks @GTEyes. Did you do the software update yourself or was it done at the dealer? The process is very easy to do it yourself. I think the Mazda3 forum has the process step-by-step and hosts the downloads for the required files. I'm hoping at least for the front it's a software scaling issue. When you see the 360 camera, the front view is very small (so it can show the 360 too). I'm thinking they scaled the resolution of the camera down to some factor of that size. And if that is the case, then software should fix it. To test some of this theory, I'm thinking about removing the rear camera and hooking it up to the front and see if it changes, or see if the part number for the front and back are the same or not.